After the Indian Women made it to the 2017 ICC Women’s World Cup final the women’s cricket has seen some vast change and acceptance all over the country. 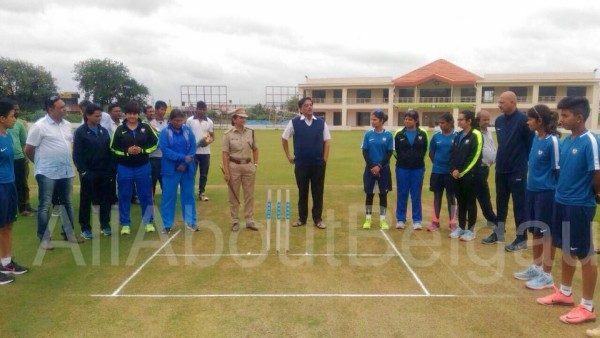 The under 19 Indian Women’s cricket team is in Belagavi and will be here for the next 2 weeks for their coaching camp at the KSCA cricket stadium in Auto Nagar. 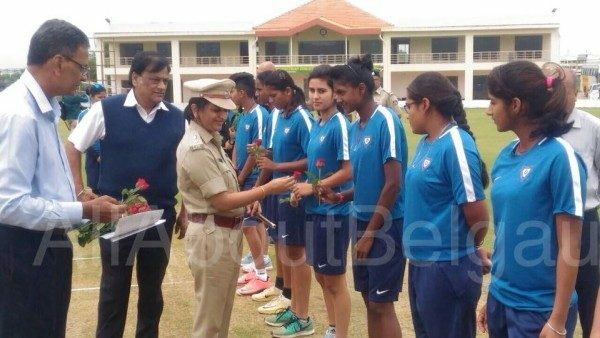 Seema Latkar, DCP (Law & Order) was at the stadium today to encourage the young women. She met all the players and asked them to give their best. The players hail from all the parts of the country and are playing as a team. 25 women will be coached by the coaches of the National cricket academy for the next two weeks.